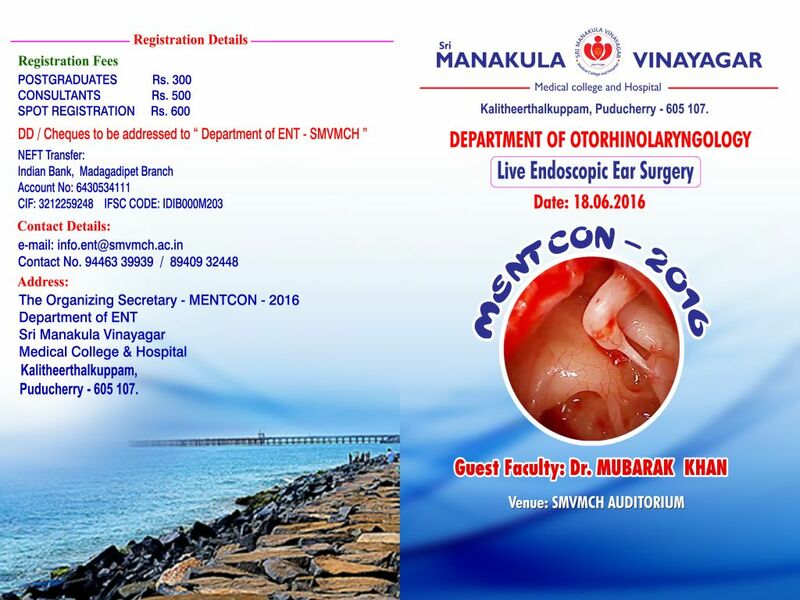 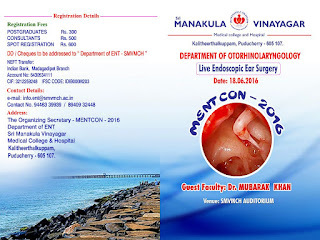 I would like to invite all of you to the 1st Live surgical workshop, LIVE ENDOSCOPIC EAR SURGERY MENTCON- 2016, being organized by the department of ENT, Sri Manekula Vinayagar Medical College and Hospital and AOI Pondicherry on 18th June 2016. 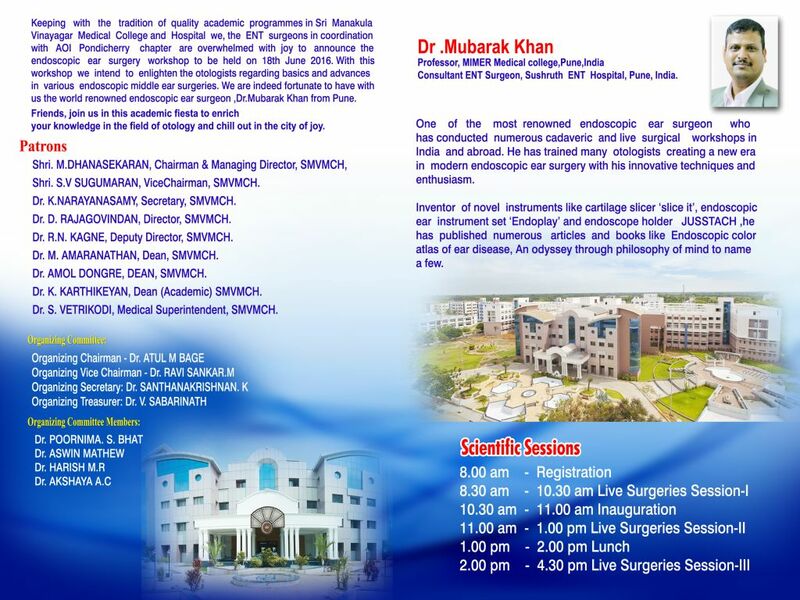 We are fortunate to have Dr. Mubarak Khan as operating faculty. 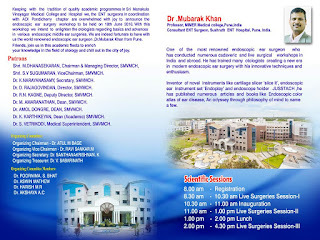 SKULL BASE Festival, AIIMS Jodhpur.